Departing the Text: How Geeky Are You? 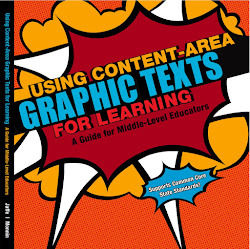 I have been writing a lot lately about graphic novels and visual literacy. I thought I'd take some time over the next few posts, to SHOW you practical visual literacy applications: infographics. Infographics are being used more and more in media and education to visually and verbally relate information in a glimpse. For more on infographics, please see Infographics 101: What you need to konw and where to find them. This week I focus on the Geek within us. I had a lot of fun with this one and I hope you do too. I'm sorry to say I failed - it was all the tech stuff. How well will you do? Take the test and the plunge and share your comments when done. And because I did so poorly I have one more for you (http://visual.ly/15-things-you-didnt-know-about-star-trek)- I actually knew a lot of this one - so there's hope for you too! So, how geeky are you? While I'm not geeky, I know my Star Trek! What about you? Regardless of your Geek Degree, I hope you had fun with this. Thank you as always for your visit and please share you geekness or reactions in the comments below, and come back next week for more infographics. I am definitely NOT a geek - not that there's anything wrong with them! LOL I must forward this to my daughter and her new hubby so they can see how they do...they call themselves geeks! Oh Meryl, I failed miserably. Definitely not a Geek, nor am I a Trek-o-phile. To be a geek or not a geek, is not a concern of mine. But if you are one, this would be an interesting post. Well I am definitely not a Geek. I only know Mulder saying:"The Truth is out there!" I'm not very geeky. I have friends that are though. Ha ha! I always tell my husband a geek so I made him read it! But he is apparently not that geeky. He got 1/4 of them right. This was so funny! My bro-in-law is really geeky so I will have look at this too! thanks for sharing it! A most enjoyable post. Read it all, and I think I scored about a 4 and a 1/2 :) Amazed I knew that much, and I do watch geek gaming shows when I visit my SIL and daughter. I am certainly not a geek. ;) :) Happy Wed. to you. I didn't know what a geek was, and had to look into my dictionary, now I know, lol ! No books on a geek list?!?!?!? Do I get a bonus for actually Larping AT SDCC (Comic Con San Diego)?